Each solution is fully adjusted to clients' demands to meet their unique needs. Cooperation begins with deep analysis and creation of system specification. Gathering client requirements is one of crucial parts of that process. I attach great importance to every detail that is a part of created project. Only thanks to that, project can be conscientiously done. If you have some work to be done, feel free to contact me: krystian.duzynski@gmail.com. Working with Krystian was fantastic. He was very fast, clearly very proficient at Python programming (in my case for Blender scripting) and communicated well throughout the process. As an added bonus, his English is great. If I have more work like this in the future, I'll invite Krystian, first. Krystian worked hard to make sure the custom software performed without bugs. Would defiantly use again. He has an incredible fast speed, he completed the project before agreed timeline, very sound technically. This is the best guy I have worked with on Upwork in terms of speed. I would like to work with him again. Best freelance developer i have ever worked with. I will not be looking for anyone else, so long as this amazing and talented man is available. Great communication, great scheduling, great English, and Superior Skills! Best freelance developer i have ever worked with. Krystian did fantastic work, and I couldn't be happier with his performance and the product he built me. Krystian built a custom server based program for me. He was very proficient and asked questions to determine what my needs were, while also implementing creative solutions. He asked concise questions and made sure to set deliberate marks in order to ensure he was on the right track. Almost most of all, Krystian was FAST and didn't require mountains of explanation to enact features. I will use Krystian again for future needs. 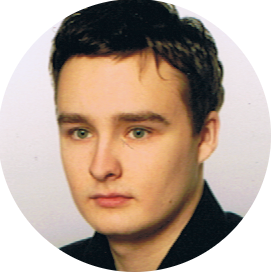 Krystian is not only extremely knowledgeable about 3D, but very helpful, providing suggestions to improve the project and always communicative and cooperative. He created a great app for me. You should not go past Krystian for any 3D project.